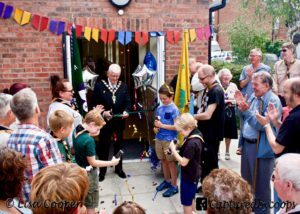 1st Lady Bay Scout Group has officially opened its new, state-of-the-art hall after years of fundraising. 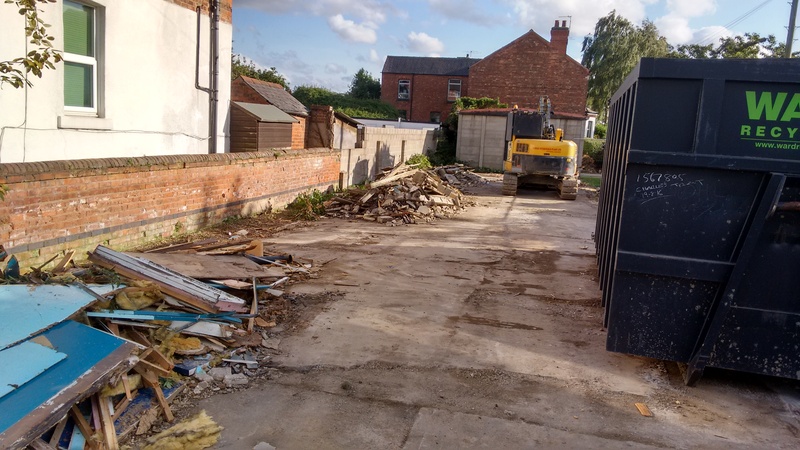 Fundraising for the new Scout Hall has been ongoing for many years, but was completed in 2016 thanks to grants of £49,950 from WREN, £25,080 from Nottinghamshire County Council, £30,000 from Veolia Environmental Trust and £15,000 from Rushcliffe Borough Council’s Capital Grant – plus a hard-earned large donation from 6th West Bridgford Scouts when the Group merged together with 1st Lady Bay a few years ago. 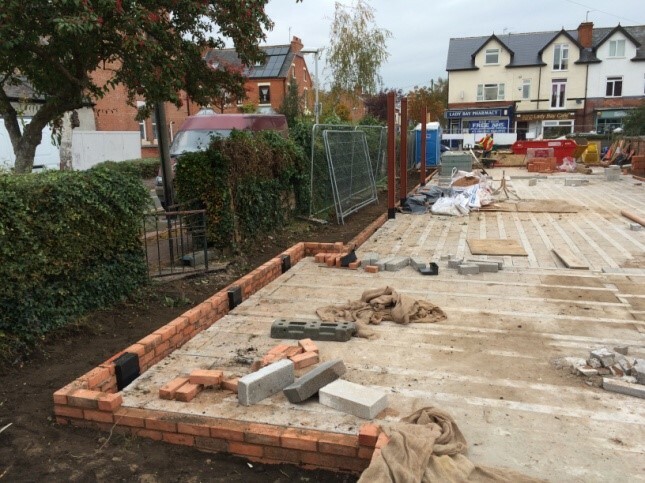 Building work began after the old Scout Hut was demolished in September 2016 and was completed in May 2017. 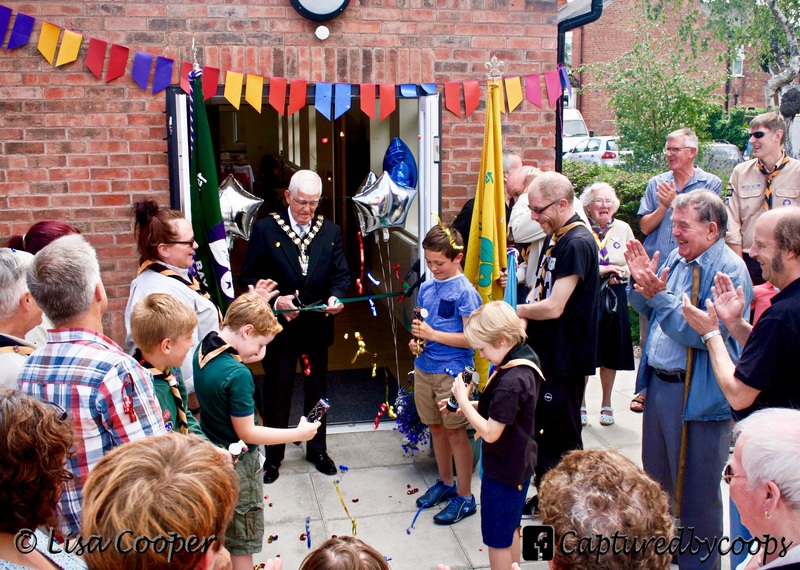 The new building was officially opened on Sunday 9 July 2017 by the Mayor of Rushcliffe, Cllr Barrie Cooper. After the opening ceremony, the building was opened to parents, former Cubs and Scouts, and members of the local community as a special Scout Hall Café as part of the Lady Bay Open Gardens festival. Built in 1965, the former prefabricated concrete hut had a life expectancy of about 25 years. 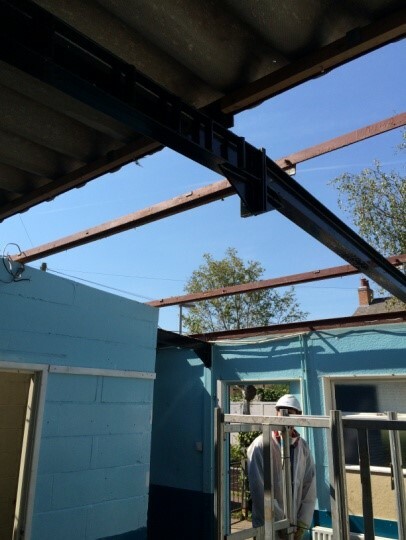 Forty years on, the Group were advised that the leaking roof and eroding external walls were beyond economic repair and that they had 5 to 10 years before the building needed replacing. The new building boasts a modern kitchen and toilets, disabled access, a main hall and a meeting room – all available to hire by the community. Elaine Clarke, 1st Lady Bay Cub Scout Leader, said: “This really is a dream come true. Opening the new Scout Hall marks the end of many years of fundraising – and the beginning of a new era for Scouting in Lady Bay. We need to thank so many people for their support, from our funders & committee members past and present to former Group members and anyone who’s helped in any way. Special thanks goes to WREN, a not-for-profit business that awards grants for community, biodiversity and heritage projects from funds donated by FCC Environment through the Landfill Communities Fund. Councillor John Cottee, Chairman of Nottinghamshire County Council’s communities and place committee, said: “We are delighted that the new hall will officially open as these facilities will be of great benefit to the local community as well as to the local youngsters who are members of the 1st Lady Bay Scout group. The new Scout Hall was built by Beaufort Construction and designed by Welham Architects. The Landfill Communities Fund (LCF) is a tax credit scheme enabling Landfill Operators (LOs) to contribute money to organisations enrolled with ENTRUST as Environmental Bodies (EBs). They use this funding for a wide range of community and environmental projects in the vicinity of landfill sites. LOs are able to claim a credit (currently 5.3%) against their landfill tax liability for 90% of the contributions they make. Since its inception in 1996, over £1.3bn billion has been spent on more than 51,000 projects across the UK. For further information, please visit www.entrust.org.uk or see HMRC’s general guide to Landfill Tax. The Veolia Environmental Trust has been supporting community and environmental projects through the Landfill Communities Fund for 20 years. Since we were established in 1997, Veolia has supported us with contributions totalling £71 million, enabling 2,120 projects to successfully complete. These have included ones to repair woodland footpaths, improve community halls and the install skateparks and playgrounds. For more information, or to find out how to apply for funding, visit our website www.veoliatrust.org. This entry was posted in Uncategorized on July 5, 2017 by Steve Thorne. This entry was posted in News on November 16, 2016 by Steve Thorne. 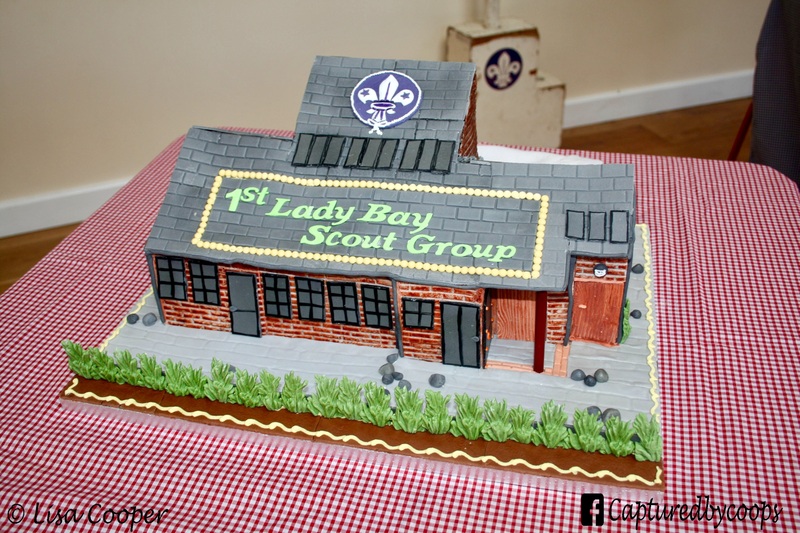 1st Lady Bay Scout Group is celebrating after completing fundraising to build a new, state-of-the-art hall. The Group has raised £320,000 for the new headquarters – thanks to a final grant of £49,950 from WREN. 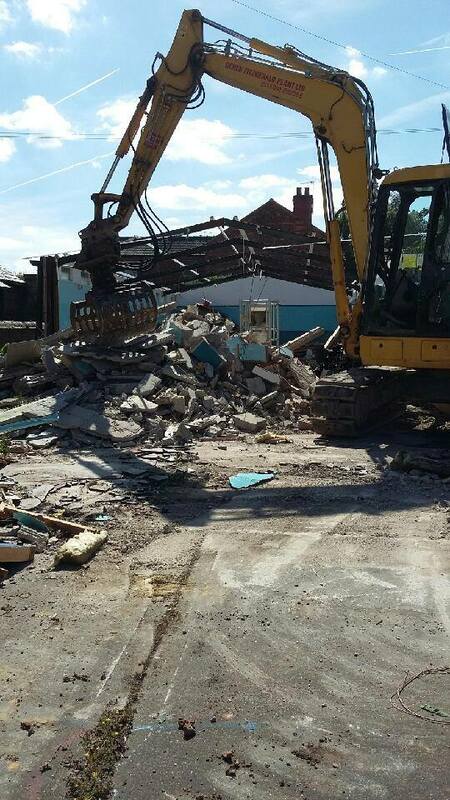 It ends over 20 years of fundraising to replace the current, crumbling Scout building on Mona Road in Lady Bay, West Bridgford. 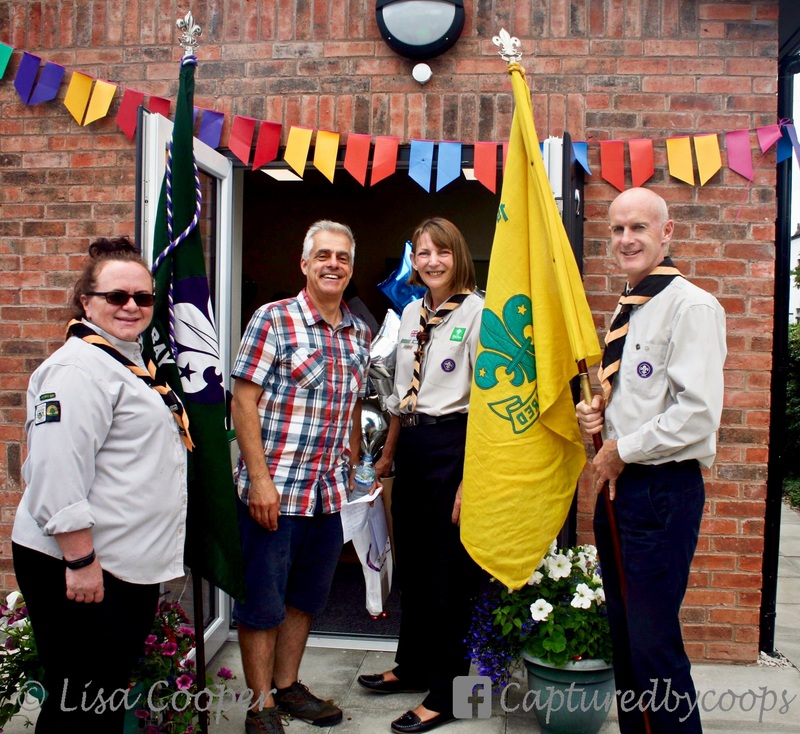 The old scout hut hosts weekly meetings of local community groups, as well as the Beavers, Cubs and Scouts. Built in the 1960s, the prefabricated structure is now beyond economic repair and no longer fit for purpose, with a leaking roof, eroding external walls, very little insulation and poor kitchen and toilet facilities. It is also unsuitable for people with disabilities. Money has been raised over the years by regular fundraising events, along with donations from former Scouting members and local individuals, organisations and businesses. A generous donation was made by members of 6th West Bridgford Scout Group on its merger with 1st Lady Bay Scouts. The fundraising has been completed with grants from the WREN Community Action Fund, Veolia Environmental Trust, Nottinghamshire County Council Supporting Local Communities Fund and Rushcliffe Borough Council. Elaine Clarke, 1st Lady Bay Cub Scout Leader, said: “Reaching our fundraising target is wonderful news! We’ve been working towards this for many years. It’s amazing. Richard Mansfield, Chairman of the 1st Lady Bay Scouts Committee, said: “We’re thrilled to have hit our target! 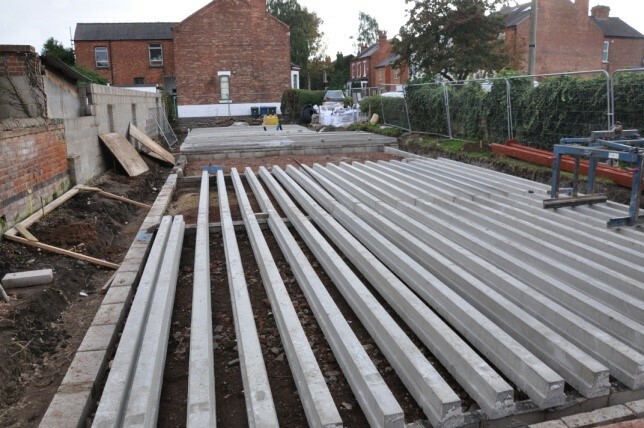 The grant from WREN now means building work can start on our new Scout Hall. There is an ongoing effort to recruit enthusiastic volunteers to strengthen the existing 1st Lady Bay leadership team in order to provide the wide range of interesting, exciting and educational activities and outdoor adventure that benefit the young people in the Group. This entry was posted in News, Rebuild on May 10, 2016 by Steve Thorne. 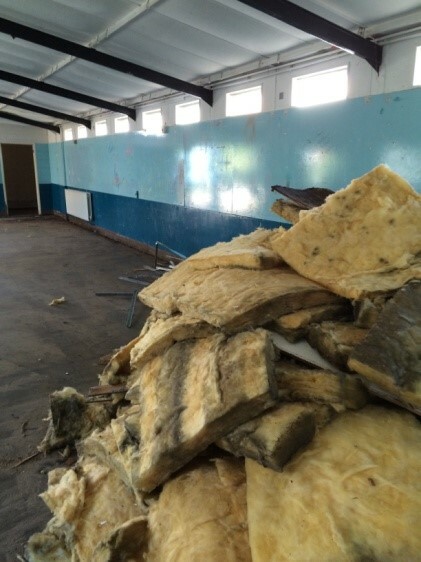 Rushcliffe Mayor Cllr Ron Hetherington has backed a bid by 1st Lady Bay Scout Group to rebuild its rundown scout hut. 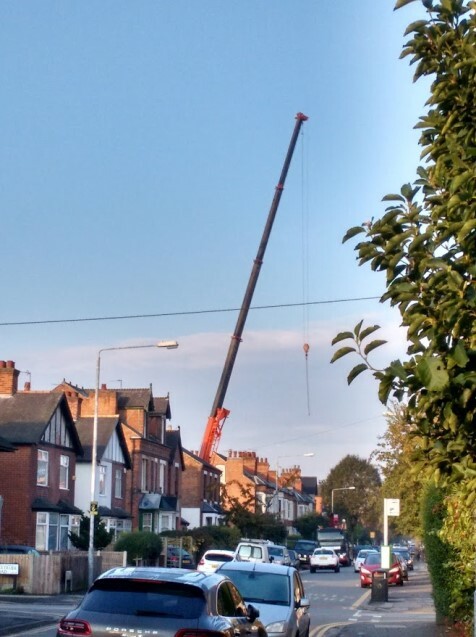 More than £190,000 has been raised by the Group to replace its headquarters on Mona Road in Lady Bay, West Bridgford – but further money is needed. A bid for a further £40,000 has been submitted to Nottinghamshire County Council’s Supporting Local Communities Fund. This money would bring the new building a step closer and ensure the survival of this valuable community facility. 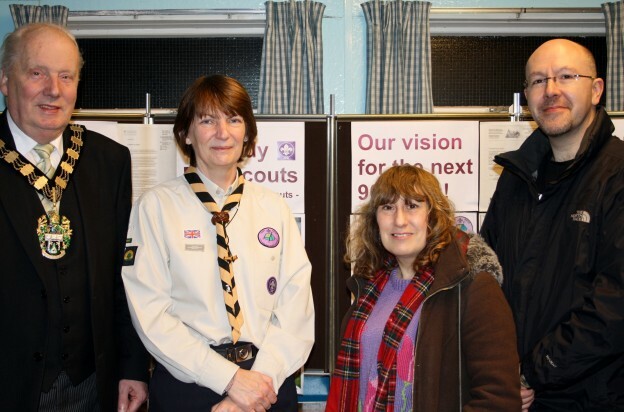 Cllr Ron Hetherington was joined by Lady Bay councillors Richard and Sue Mallender, from Rushcliffe Borough Council, in supporting the plans at a special presentation at the scout hut. The old scout hut hosts weekly meetings of local community groups, as well as the Beavers, Cubs and Scouts. Built in the 1960s, the prefabricated structure is now beyond economic repair and no longer fit for purpose, with a leaking roof, eroding external walls, very little insulation and poor kitchen & toilet facilities. It is also unsuitable for people with disabilities. Elaine Clarke, 1st Lady Bay Cub Scout Leader, said: “Our building is in a really poor state and can’t be patched-up any longer. 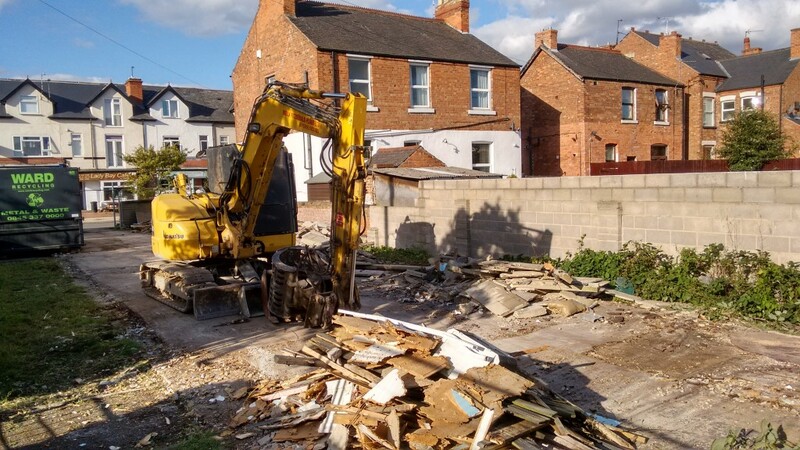 We’ve been fundraising for a number of years and have raised most of the money for a new scout hut – but we desperately need Notts County Council to support this bid for funding. Cllr Hetherington, Cllr Richard Mallender and Cllr Sue Mallender were shown artist’s impressions for the single-story building that would replace the existing base. PICTURE CAPTION: Looking at plans for the new Scout Hut in Lady Bay are (from left) Rushcliffe Mayor Cllr Ron Hetherington, Cub Scout Leader Elaine Clarke, and Cllrs Sue and Richard Mallender. This entry was posted in News on March 11, 2015 by Steve Thorne. In 1924 King George V was on the throne, the Met Office issued its first Shipping Forecast and the Sunday Express became the first newspaper to publish a crossword. And in Lady Bay a small group was established that would go on to shape the lives of hundreds of boys in the community over the next nine decades. Celebrating its 90th anniversary this year, the 1st Lady Bay Scouts has grown into a dynamic, forward-thinking group run by dedicated volunteers, while retaining the traditional scouting values of friendship and adventure at its core. It is now aiming to mark this momentous milestone by securing the future of the group for the next 90 years to come by recruiting enthusiastic new leaders to join its existing Scout team. 1st Lady Bay Scouts Akela, Elaine Clarke, said: “Our group has Scouts, Cubs and Beavers – but we’re particularly looking for dynamic, bright leaders to join our Scout section to help make a difference to the lives of boys aged 10-13. We meet every Thursday in the Scout Hut on Mona Road, so we’re just looking for a couple of hours of your time. Based out of the Scout Hut on Mona Road in Lady Bay, the Group is made up of Beavers (aged 6 to 8), Cubs (aged 8 to 10) and Scouts (aged 10 to 13), offering all age groups the opportunity to learn through fun activities and outdoor adventure. Akela added: “Volunteers need to be a good role model and comfortable working with young people. With the other leaders, you will contribute to creating and running exciting programmes and activities that give the Scouts the opportunity to develop their skills and capabilities within a safe and supportive environment. This entry was posted in News on November 17, 2014 by Steve Thorne.